Holland has a modern and extensive railway network, which includes around 400 stations. Intercity (faster) trains run between the larger cities, and Sprinter (slower) trains connect smaller stations. It’s easy to explore Holland by train! How to plan your journey? Visit the NS.nl for up-to-date information on train schedule, possible routes and fares. If you have a complex route with several transfers, it’s better to print your travel information with the names of the stations where you need to change the train. The price of your journey depends on the travel distance. Visit NS.nl website for current fares on your route. If you take a high-speed Intercity Direct train between Amsterdam and Rotterdam, you will need to purchase an Intercity direct supplement. The supplement for a one-way journey costs € 2,40. 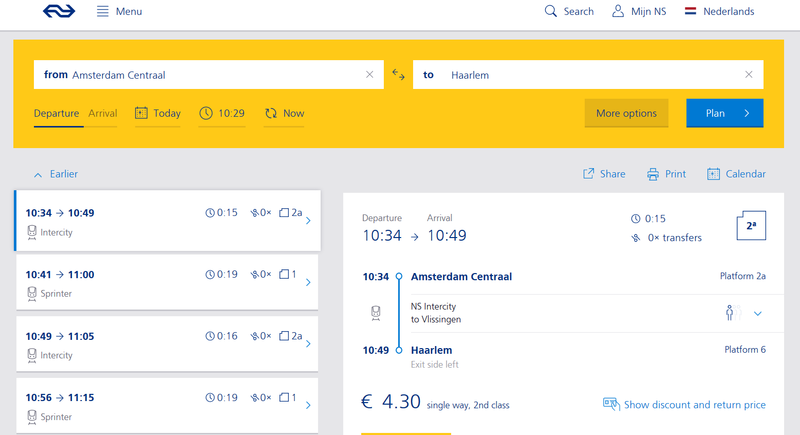 Where to buy a train ticket in Holland? The easiest way is to buy your train ticket online. Alternatively you can get them from the tickets machines at the stations (they accept Visa, MasterCard, Maestro cards and sometimes coins) or at ticket desks (it will cost you €1 extra). When you buy disposable (single-time use) train ticket, you will be charged €1 over the standard travel fare for the ticket itself. If you are planning to travel around Holland, you can consider buying an OV-chipcard, which is valid in all means of public trasport throughout the country. An empty smart card costs €7,50 (but it will help you avoid paying €1 every time you purchase a disposable ticket) and is valid for 4-5 years. To travel with an OV-card you need to have a sufficient credit (€20 for travelling by train and €4 for travelling by bus, tram, and metro). OV-chipcards can be purchased at service desks or OV-chip marked machines at the train stations, at GVB or other transport providers Tickets & Info offices or vending machines. If you are lucky you can buy a discounted day ticket (dagkaart), usually sold at Blokker, Kruidvat, HEMA, Etos or Albert Heijn shops. 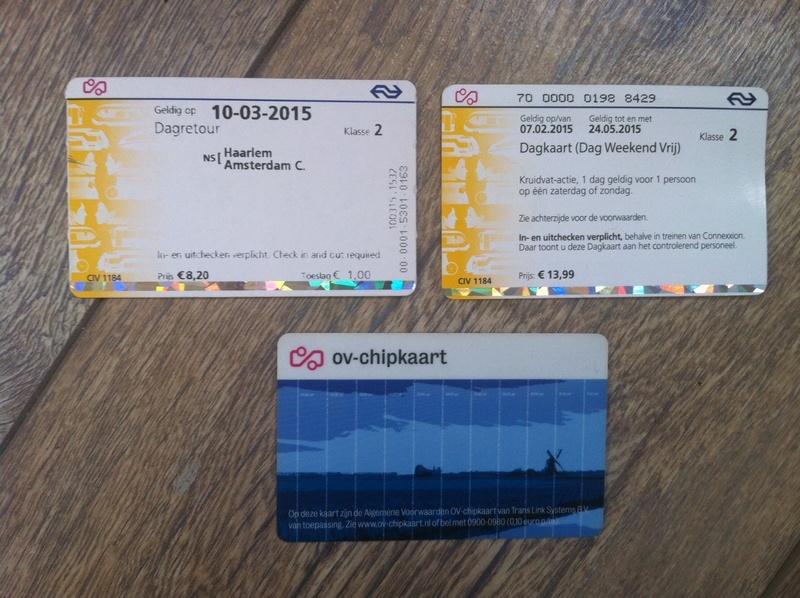 A dagkaart usually costs €14 – €17 and is valid for unlimited travel by train throughout the day. Day tickets are usually sold during a limited period of time. Check Treinreiziger.nl website for current offers. How long is a train ticket valid? A single or return train ticket is valid on the date indicated on the ticket. It means that you can take any local train on the chosen date and route. But you can use the ticket only once. No matter which ticket you are using (except for the e-tickets) and the start and the end of your trip you have to check-in and check-out. 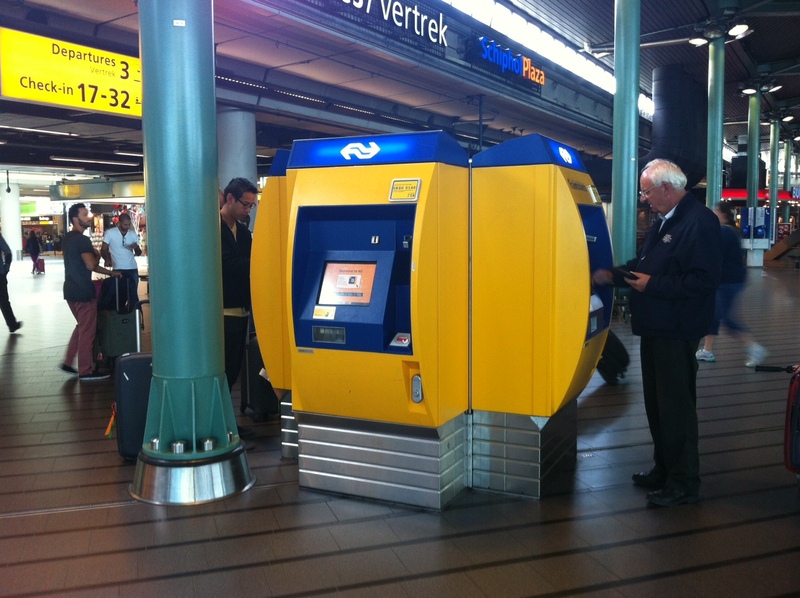 Simply scan your ticket or OV-card at the special card readers. You can find them at station halls (not inside trains! ), metro gates and near the entrance doors in trams and buses. If you are travelling with an e-ticket, you generally don’t need to check-in and out. The ticket has your name, travel route and the date when it’s valid, and that’s enough. 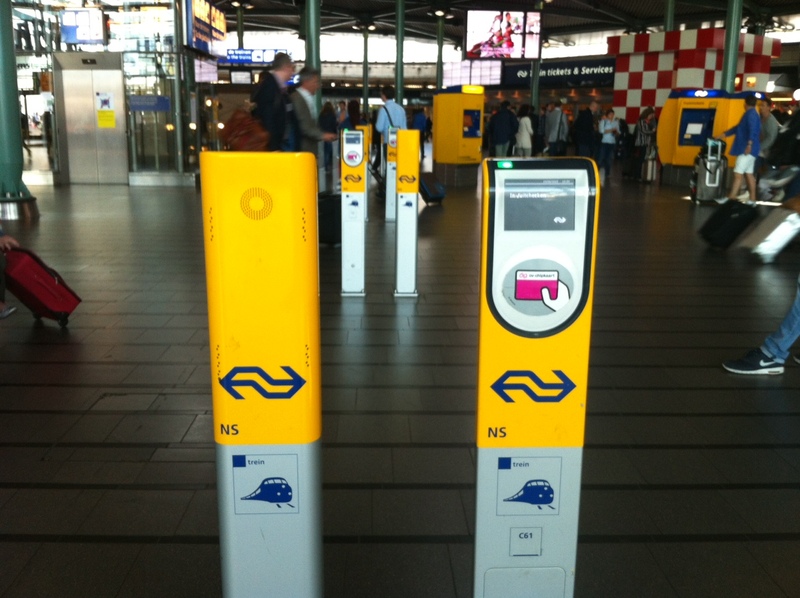 However many train stations in the Netherlands are equipped gates, and you need to open them to access the station. With your e-ticket you can open the gate by scanning the barcode on the ticket at one of the gates equipped with a barcode reader (in has a “Scan ticket” symbol on its display). 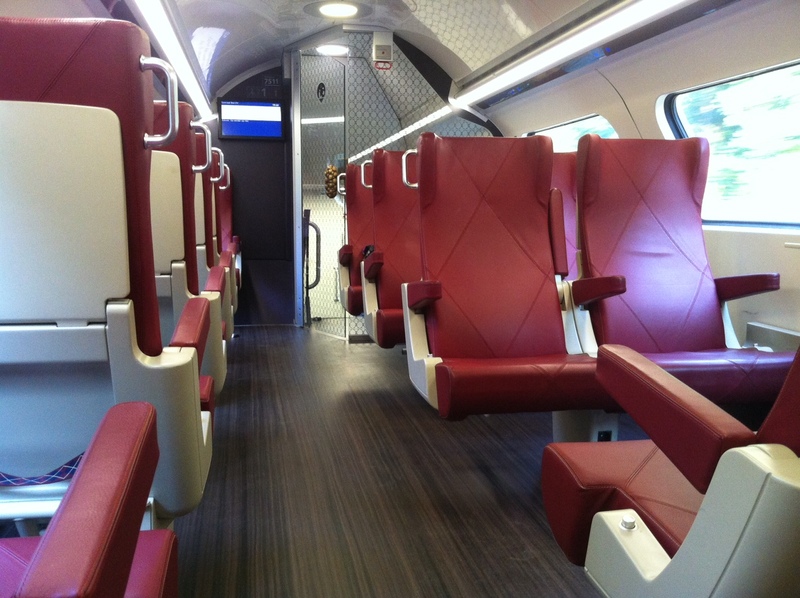 In most trains you can choose between travelling 1st and 2nd class, which differ in price and comfort of seating. 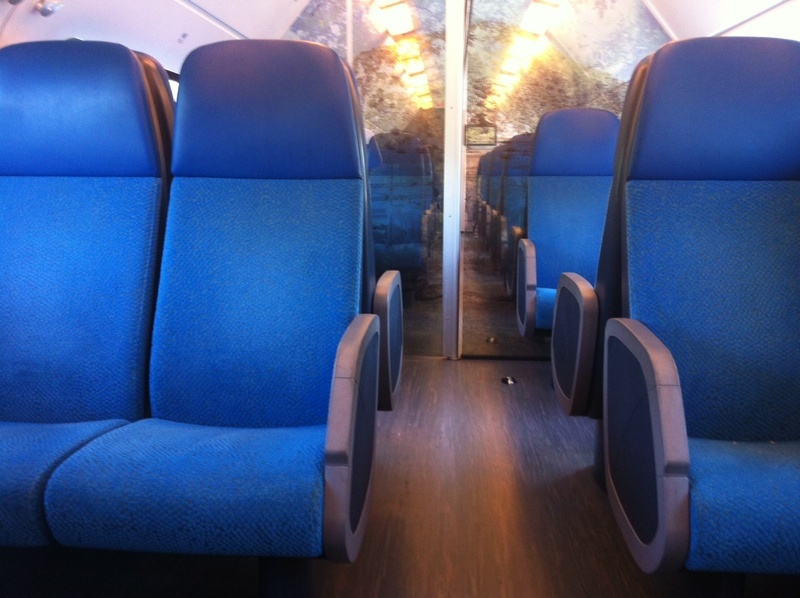 The first class compartments have larger seats and more space between them, especially in the Intercity trains. The first and second class seating is indicated by the class number on the board of the train. What transport will get to your place of destination? Plan your journey and find it out via 9292.nl!